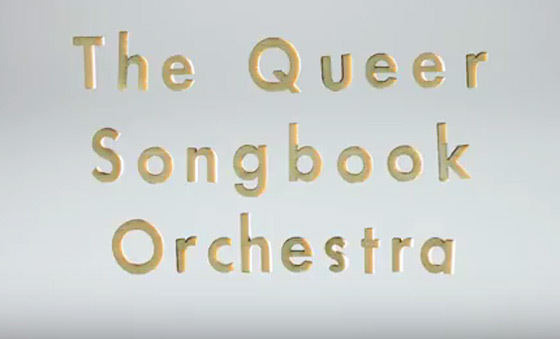 With their live performances, the Queer Songbook Orchestra reinterpret popular songs that have helped shape the LGBTQ community. Now, the Toronto/Montreal 12-piece have announced plans to do the same on their debut album. Titled Anthems & Icons, the ensemble's first studio effort arrives June 15. It follows last year's collaborative album with Vivek Shraya, Part-Time Woman. The album was recorded during a residency at the Banff Centre for Arts & Creativity, with producer and engineer duties handled by Graham Lessard. Eight tracks in length, Anthems and Icons features the QSO reinterpreting songs by k.d. lang, Joe Meek, Rita MacNeil, Arthur Russell and Melissa Etheridge. You can find a complete tracklisting below. The ensemble have also mapped out a trio of tour dates that you can find below, set to give way to a fall tour of Canadian cities where queerness lacks visibility. Those shows will feature songs tied to personal stories of 2SLGBTQ communities. The QSO features members of Bonjay, Bernice, the Luyas, Myriad 3 and musicians who have appeared with the Hidden Cameras, the Toronto Symphony Orchestra and the Canadian Opera Company.